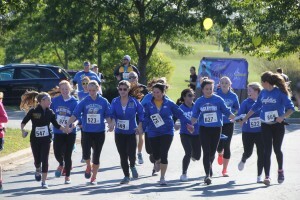 Don’t forget to sign up for out annual 5k walk/run. It will be here before you know it. Bring your family and friends to this fun event. DON’T DELAY SIGN UP TODAY!!!! All of us from the Jane Memorial Foundation would like to thank all of you for helping us raise money and keep the spirit of Jane alive. 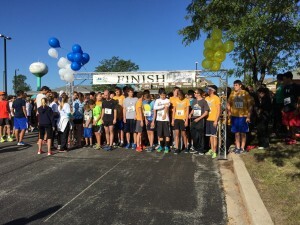 The 3rd annual Walk/Run was another success on a gorgeous day. We had a wonderful turn out of family and friends both old and new. The showing from Carl Sandburg was amazing with students who never got the chance to meet Jane stepping up and organizing teams for the race. That is a perfect example of the Warrior’s Spirit. To find your race time (runners only) please go to IT’S RACE TIME!!! We would like to congratulate this year’s male winner Ethan Miranda-Gale and our female winner Alexandra Holdefer. Everyone is a winner though as everyone showed pride, determination and support for their community and this foundation. Please look to our events page for all of our age group winners and congratulate a friend. THANK YOU TO EVERYONE; WE CAN NOT CONTINUE THIS WITHOUT YOU. Spread the word, create your teams, start your training. It’s time for the annual Jane Caliendo 5K run/walk. We encourage you to register for this event by September 1 to guarantee your t-shirt size. If we receive your registration after that date, we will try very hard to get your correct size. Early Registration is open until September 9th @ 4:00pm. Cost is $30.00. Please visit our race website to sign up. Race Day Registration will be from 6:30 a.m. – 8:00 a.m. Cost is $35.00 We will be accepting cash, check and credit cards. Attention!!! Attention!! Read all about it!! The winners of the 2017 Jane Caliendo Memorial Foundation Scholarship have been announced. After much deliberation over the many over-achieving, highly qualified leaders of the Sandburg Athletic community the committee awarded Marty Blake and Aidan Farley the scholarships. They both exhibit the unique set qualities that Jane exhibited throughout her life and her teaching. They exhibit these qualities not only throughout their sport but throughout their community as well. On behalf of the Jane Caliendo Memorial Foundation and the Scholarship committee we want to wish all applicants and the rest of the senior class the best in their collegiate adventures. On Behalf of the Jane Caliendo Foundation committee we wanted to say thank you for everything you have done this year. Whether it was a donation or helping with an event or simply helping a neighbor, you made a difference. 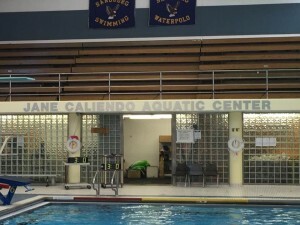 This year has been a successful one with the Dedication of the new Jane Caliendo Aquatics Center at Sandburg. 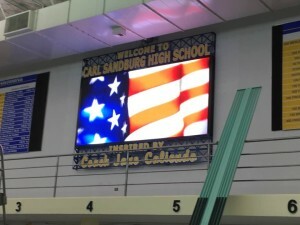 Over the summer the new Aquatics Center received a donation of a new Video Board and Timing System. We had another successful 5K walk/run on a beautiful day. Donations have been generous all year and for that we Thank you. Keep coming to our website for future updates on our annual 5K and donations opportunities. We will also be updating you on our scholarship winners; where they are and how they are living like Warriors. May the New Year bring you joy and happiness. 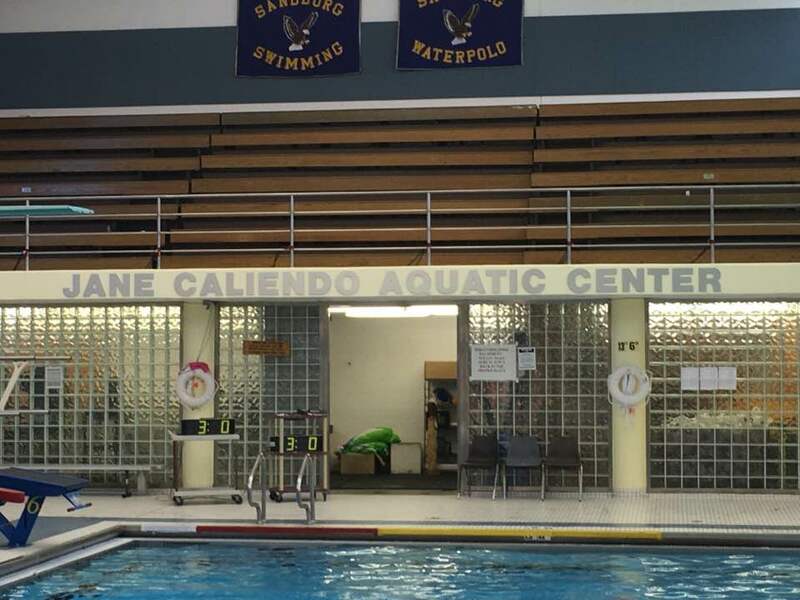 Carl Sandburg’s Pool has officially been dedicated to Jane. Jane’s spirit, encouragement and inspiration will forever be in the heart of Sandburg. Current students remember her and Future student will learn about her. She pushed her students to go the extra mile; to think outside the box. The new Aquatics Center reminds everyone one person can touch and change so many lives. Because of you the Foundation was able to donation an new top of the line Video Board and Timing System for the Jane Caliendo Aquatics Center. Pictures are on our EVENTS page. 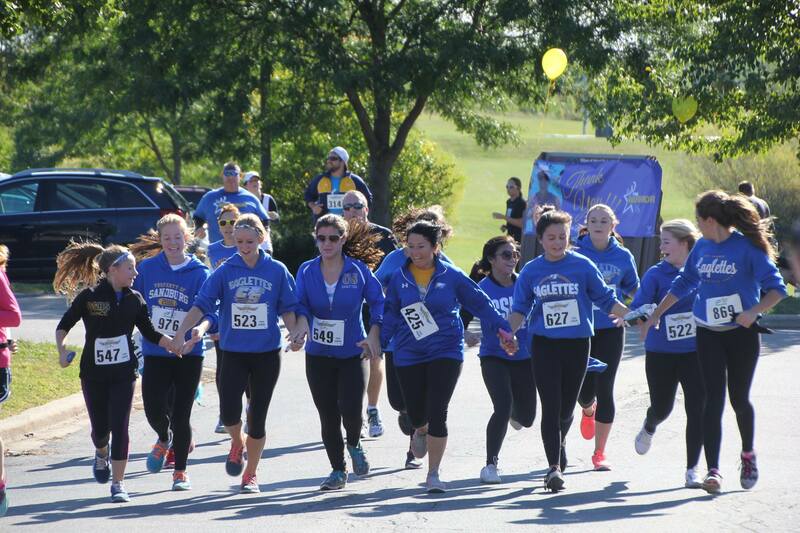 We just wanted to send out a THANK YOU to everyone who participated in the 2nd Annual Jane’s Warriors 5k Walk/Run. Although it is a little late we did not The day was gorgeous and filled with family and friends. This year was another successful year and we couldn’t be more proud of the support and love shown. If you haven’t already don’t forget to check your scores on itsracetime.com. Just look under Recent Results for Jane’s Warriors 5k. We hope to see everyone again next year and keep supporting Jane Caliendo’s Foundation and the Sandburg community.